Thought I'd share my new boots with you. 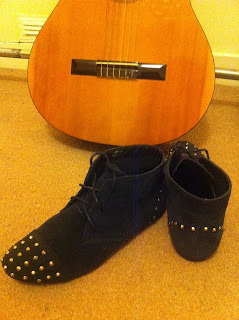 They were £10 in Primark which I think is beyond reasonable, the quality isn't amazing. But its pretty good for the price. 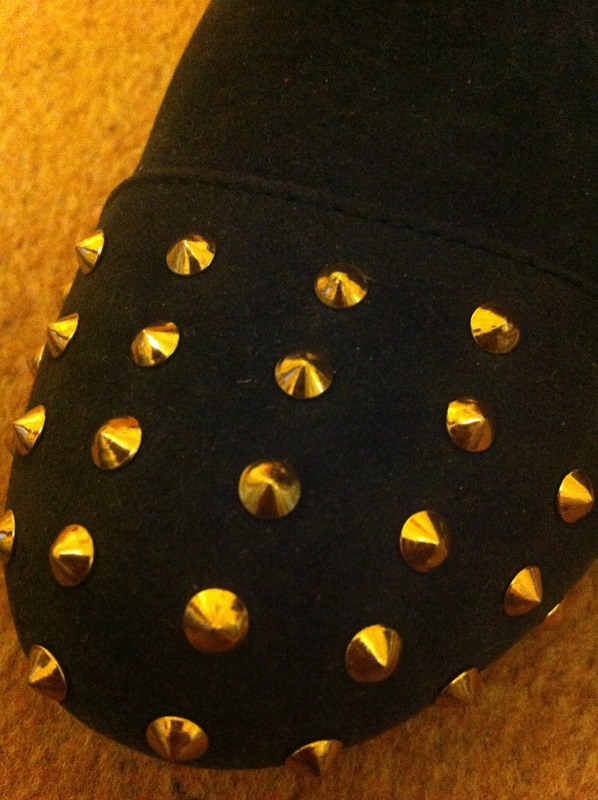 I've been wanting some studded things for a while as you probably could tell from all my posts. Kind of spammed studs and spikes! But I love it so much, the suede material makes it slightly less in your face I think. 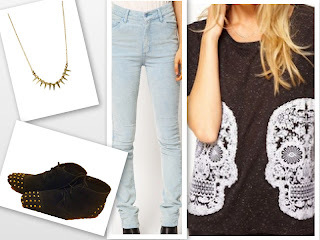 Would love the buy these jeans and t, but too much spending! Do you like this? After wearing them on a stormy day, its safe to say these are dry day shoes. Soggy feet are the worst, damn.